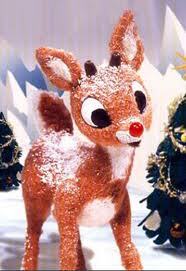 I have been a huge fan of the Rankin/Bass Holiday Christmas classics since I was little. They are some of the greatest Holiday cartoons you can share with your family. They only come on TV once a year and often times we miss the airing of it. This year I will try to watch it when it comes on TV but I did not have to wait for that. We have the Original Christmas Classics on DVD. Its 7 of the Christmas movies on two DVDs. Some of my favorite ones on are there like Santa Claus is Coming to Town. Frosty the Snowman and Rudolph the Rednose Reindeer. 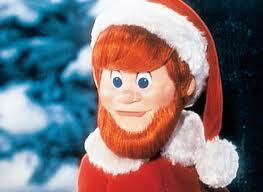 The Rankin/Bass shows to me have to be watched during the Holiday Season. Its one of the signals for me that Yes it is Christmas Time!! I loved sharing these with my son. Last year he fell asleep watching them since he was only 1, but this year he clapped and cheered as I did for these great Holiday DVDs. 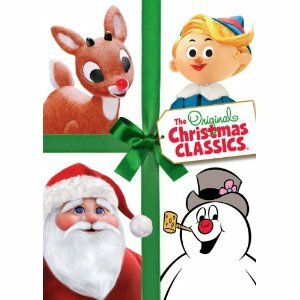 The Original Christmas Classics features 7 Holiday favorites: "Rudolph The Red-Nosed Reindeer," "Santa Claus Is Comin' To Town," "Frosty The Snowman," "Frosty Returns," "Mr. Magoo's Christmas Carol," "The Little Drummer Boy" and "Cricket On The Hearth" I am not a Magoo fan so I did not really care for the Magoo Christmas Carol and I think the original Frosty is much better than Frosty Returns. But I love all the other cartoons and was so happy to share them with my son. I know we will be watching these all month and for many years to come. You can find this DVD for sale at Walmart and Target.